Home / Hair tips / What ingredients can be used to make home shampoo? 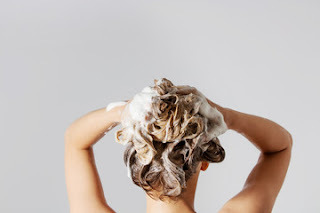 What ingredients can be used to make home shampoo? Basically, two components are very useful. One is egg, another is baking soda. It may be astonishing to hear, but the egg is a pretty good element to make shampoo. Eggs are rich in vitamins, minerals, proteins and other nutrients to protect hair. The hair becomes soft, dense and shiny in the use of eggs. But remember one thing. No matter how good it is to cook and cook eggs, you will not like to cook the cooked eggs on your head. So do not use hot water while using eggs as shampoo. 1) It is very easy to use only eggs as shampoo. Take 2-3 eggs in a bowl. Then you can use it as your normal shampoo. Conditioner can be used to remove the egg flavor from the hair. 2) Another way is to use eggs with honey. Mix three egg yolks well with three tablespoons honey. Then use this mixture on wet hair. After that wash the hair well. Even if the conditioner does not use it. 3) Mix 2-3 eggs of dry hair in a little water, then add 3-4 drops of olive oil to it. Use this mixture after using shampoo Conditioner. 4) Keep a recipe that can be used for all hair. Mix two tablespoons of lemon juice with two eggs, one table spoon honey and 3 drops olive oil. This shampoo will become hair clean, shining and healthy. Baking soda is another excellent ingredient to use as shampoo. However, this shampoo is not suitable for everyday use at all. You can use once or twice a month. 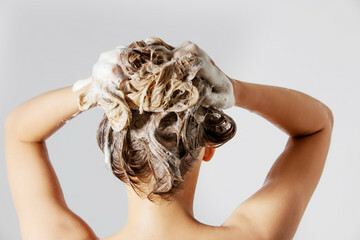 Because baking soda is pulled out of the hair and all the oil and dirt Very often the hair can become rough using. 1) One way to use baking soda as a shampoo is to mix 3 egg yolk with one table spoon baking soda. This mixture can be used like ordinary shampoo. Conditioner can use later. 2) You can also wash the hair by making baking soda and water with paste.